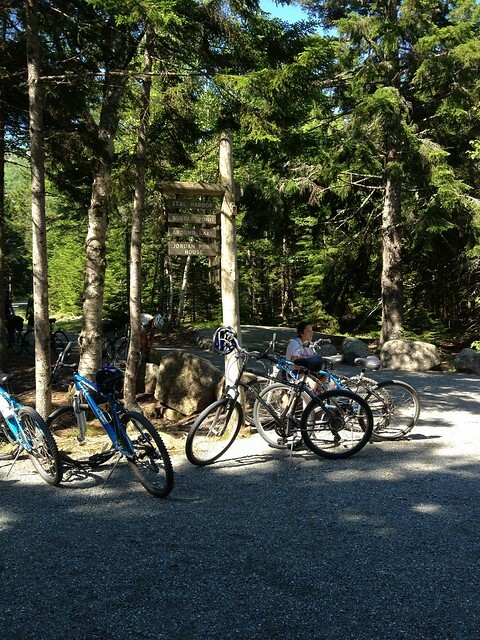 Aside from hiking, biking is probably the next most popular activity at Acadia. 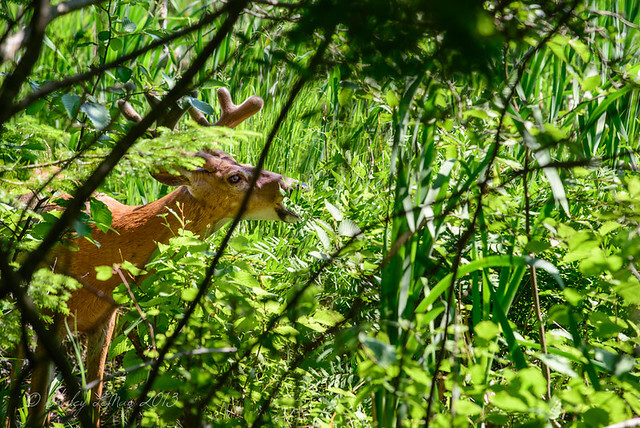 An extensive network (45 miles) of Carriage Roads were developed through the efforts of John D Rockefeller Jr, who wanted to travel via horse and carriage into the heart of Mount Desert Island. 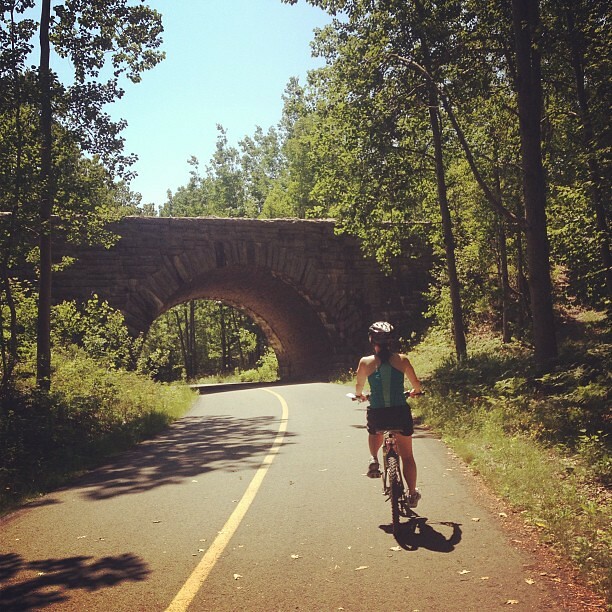 The Carriage Roads today allow bikers, hikers and even horse riders to enjoy the beauty of Acadia. We rented bikes early in the morning before the crowds and heat. 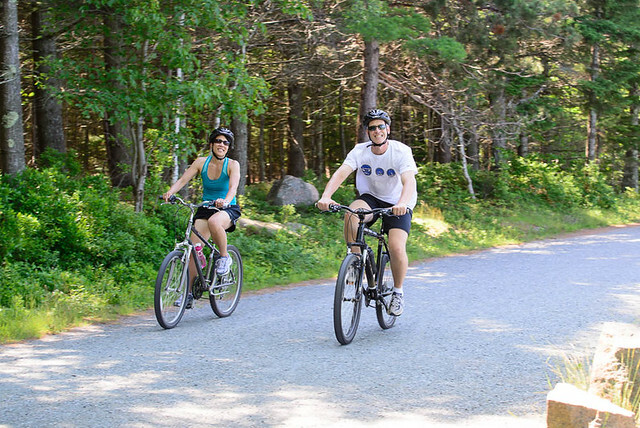 Bikes are rented outside of the park, but there are a couple bike-centric shuttles that transport you and your bike from the Bar Harbor Village Green to Eagle Lake, a great place to start your bike adventure. 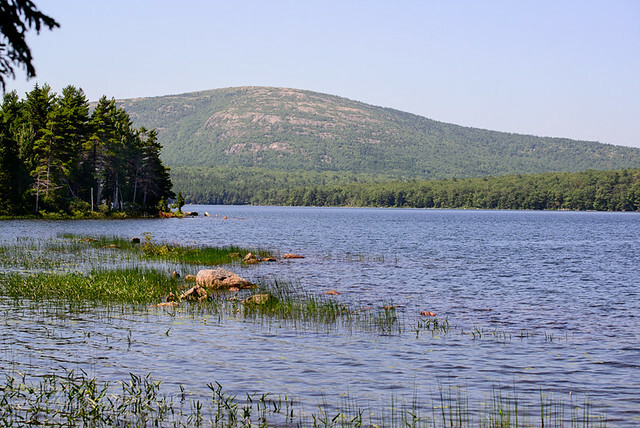 Another option is to bike from Bar Harbor to Eagle Lake, but that route was mainly up hill, so we opted to take the shuttle. The roads are mostly shaded with gradual uphills and downhill sections. I won't lie - there are long stretches of those gradual uphill that will give you a good workout, but it is an enjoyable ride nonetheless. Just take a rest break every now and then! 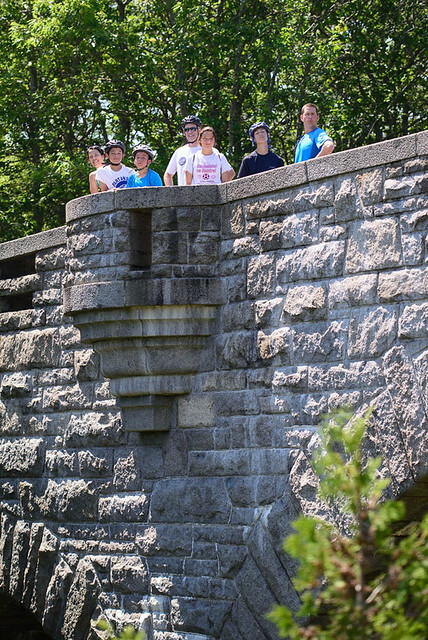 The Carriage Roads give you access to the arching granite bridges that are unique to the Park. The Duck Brook Bridge was on our route out of the park. We spent 2-3 hours on our biking adventure. You can really make an entire day of it by packing a sack lunch or stopping at Jordan Pond House for something to eat and drink. Many people bring their own bikes in, but we found the bike rental option to be the best for us. Another great activity in Acadia. What an incredible endorsement to this beautiful location. "I'm bored" need not apply. Sounds like a perfect day to me -- although I'm not sure I'd do very well on the hills! 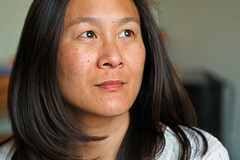 Beautiful Shirley.